The Pickwick pub on Woolwich Road, seen in August 2014. Photo by Neil Clasper. 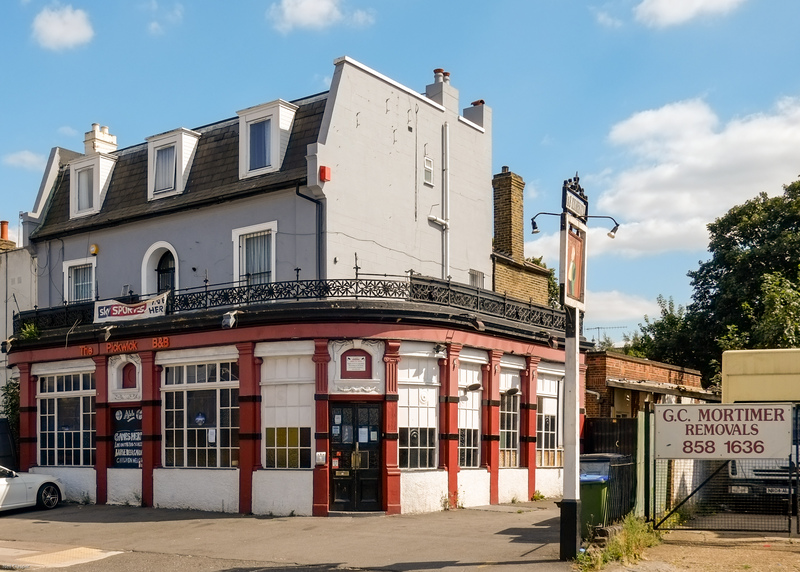 As reported by From The Murky Depths blog, The Pickwick pub on Woolwich Road could be set for demolition to make way for 14 flats, a new pub, and a terrace of 6 houses. Originally known as the Roupell Arms, it had operated as a pub and B&B, but has been closed for the past couple of years. The applicant is a Mr Sunil Purewal of Pure Let Greenwich Ltd. To see the full application, visit planning.royalgreenwich.gov.uk and enter reference 18/2976/O. On the same stretch of road, developers had plans to add flats and a gym to the (now closed) Antigallican pub approved in August 2017, plans to demolish The White Horse were refused on appeal in 2016, and the application to add flats to the Victoria and turn it into a takeaway has gone quiet.